A Rusholme community arts organisation is celebrating the heritage of the area through a calendar of images – and Scott Dawson Advertising was delighted to provide the design and print. The ‘Treasures of Rusholme 2017’ calendar, produced by Creative Rusholme using images by local artist and photographer Phil Barton, is on sale now. It features striking photographs of 12 key locations from across the area, including Georgian properties on Moon Grove, Manchester Central Mosque in Victoria Park, Whitworth Art Gallery, modernist icon The Toastrack and The Curry Mile. Through the calendar Creative Rusholme aims to raise the profile of the local community and develop the huge cultural potential of the neighbourhood on Manchester’s Southern Corridor. The arts organisation believes Rusholme has so much to offer: two galleries, three parks, a major conservation area, and residents from all over the world including many thousands of young people. Phil Barton gave his photography free of charge for the production of the calendar. He explained why he was so keen to get involved in the Treasures of Rusholme calendar project. Phil says, “We are proud of both the area’s heritage and its vibrant present, and the Treasures of Rusholme 2017 calendar celebrates this. The calendar is being sold by volunteers from a variety of Rusholme community organisations. All money raised from the sale of the calendars will go straight back into the local community. Scott Dawson Advertising did the work free of charge as part of our commitment to supporting community endeavour. 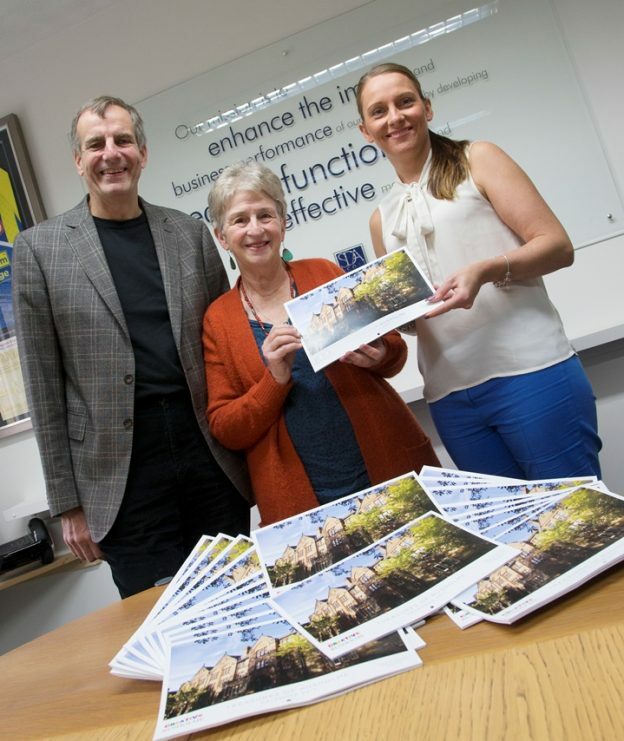 Scott Dawson Advertising is launching a brand new feel-good glossy publication for the Lancashire district of Hyndburn. 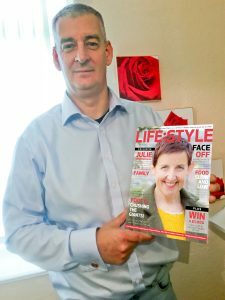 LIFE:STYLE Magazine plans to promote the positive side of Accrington and its surrounding areas appealing to tourists, business investors, heritage, music and culture fans. 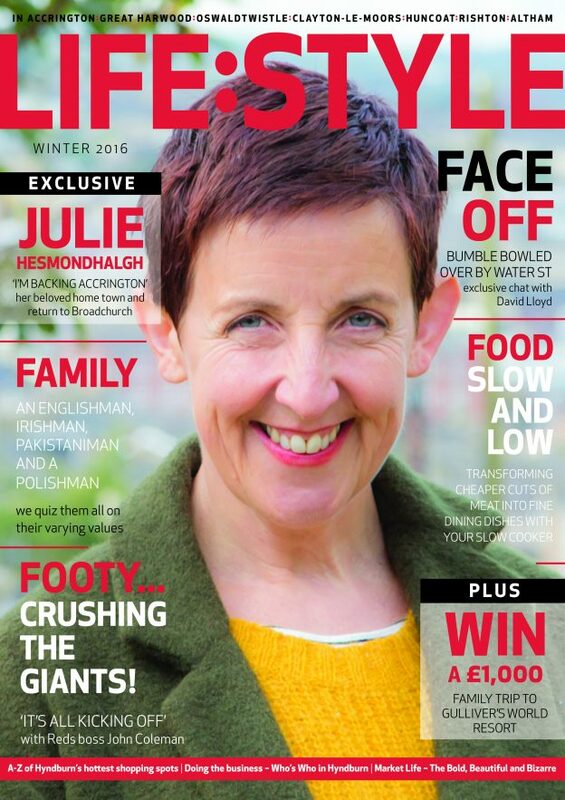 The twice yearly magazine will showcase local businesses, shops, cafes and restaurants, and concentrate on promoting civic pride. Said a spokesperson for Scott Dawson Advertising, which will produce an autumn/ winter and spring/summer edition: “Like other areas of Lancashire Hyndburn also enjoys the benefit of bustling town life with both major retail and food chains and small independent shops and restaurants, picturesque parks and villages and breath-taking countryside – which is perfect for running, cycling and hiking enthusiasts. LIFE:STYLE Magazine promises to explore and encompass all aspects of the area’s rich ethnic diversity. The first issue will feature a lively dinner debate between four Hyndburn men of Irish, English, Pakistani and Polish descent, about their varying views on Family Values. Interested in advertising in LIFE:STYLE Magazine? Please call Sue on 01282 426846. This entry was posted in Accrington and tagged lifestyle, magazine on October 21, 2016 by admin. 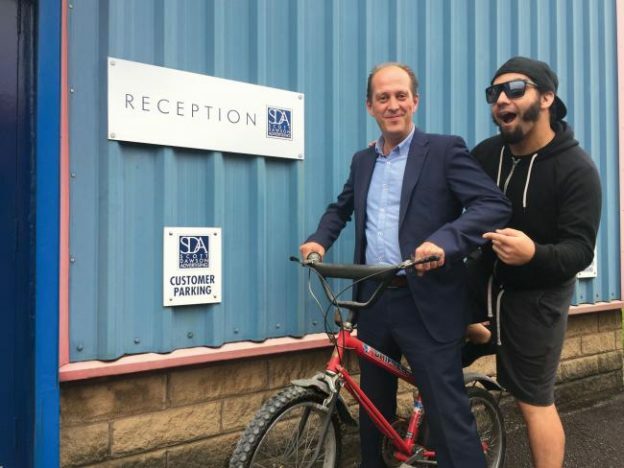 Storage Hunters star Jesse McClure and his agent Murray Dawson (pictured) will cycle from Blackpool FC to Accrington Stanley FC on Saturday in the first event of a £40,000 fundraising bid. The pedal-powered pair hopes their efforts will put £500 in the pot of the OASSC’s (Official Accrington Stanley Supporters Club) project #upinlights – which aims to provide an electric scoreboard facility at the Wham Stadium. Joining them on the 58km ‘Pedal us to Glory’ ride will be Accrington Stanley’s Managing Director, David Burgess. Says Jesse: “We hope to raise around £500 in sponsorship – although I still haven’t actually got a road bike yet! So if anyone has one they are willing to lend me – get in touch! Jesse’s agent Murray, Managing Director of Scott Dawson Advertising, said: “I wouldn’t say we’ve exactly been training hard– but a couple of laps around the car park – and we’re ready to do what we can to help the Club. The OASSC’S 2016/17 fundraising campaign #upinlights, include raffles, events and sponsorship. The first on the agenda is the sponsored bike ride; Pedal us to Glory, which will start at Blackpool Football Club at 8.45am back to the Wham Stadium arriving before the League 2 fixture between the two clubs at 3pm on Saturday 15th October. Fans can sponsor riders or purchase a raffle draw ticket, price £2, which will be on sale on match day or from committee members. This entry was posted in Accrington Stanley, Jesse McClure on October 11, 2016 by admin.